Apple’s Touch ID fingerprint reader, released with the iPhone 5s, includes a sensor the thickness of a human hair, a sapphire crystal button, capacitive tech and complex data analysis. Alabama-based startup IDair believes it can replicate the quality of the Touch ID with a simpler approach that uses existing smartphone cameras to capture images of users’ fingers. IDair’s tech uses an algorithm the company has patented to convert the image into a means of identification. “We convert the low-contrast image into an FBI-quality fingerprint in a second or less,” said IDair CEO Jim Cantrell. IDair was launched to turn some of these technologies into commercial products. 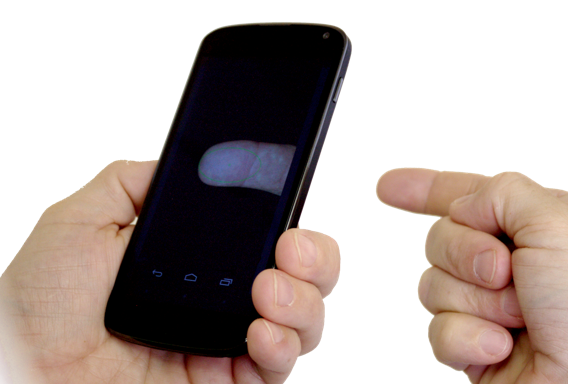 The startup recently released a SDK for iPhone and Android developers to add fingerprint tech to apps. Cantrell envisions the algorithm being used for smartphones, laptops and other CE devices. “Along with the smartphone and long-range products, IDair sells a short-range scanner aimed at gyms and offices,” notes the article.